all must be held dear, all must be helped. In the words of St. Teresa of Avila, we welcome all to our Motherhouse, which serves as home to many of our retired sisters and where our administrative offices are located. 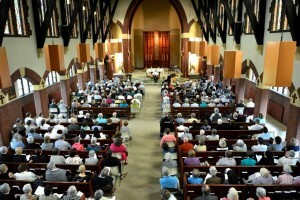 Constructed in 1924 and renovated in 1974, our Chapel was refurbished in the winter of 2007-08. While maintaining the beauty and simplicity of natural tones and elements, it proclaims our Congregation’s love for all creation, and our belief that we are of the earth while rooted in Jesus. We maintain more than 80 acres in keeping with our values of preserving contemplative space and engaging in sustainable practices. 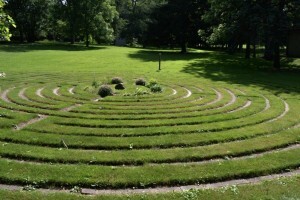 The Motherhouse campus includes walking paths, tree trails, a labyrinth and a grotto. The Stations of the Cross are placed along a tree-lined pathway that also leads to the cemetery. In recent years, we have worked to restore the land to its original purposes, such as farming and beekeeping.